“Almost everybody says, ‘I want more depth and I want better sensitivity,’” says Andrew Heinmiller, Product Manager at Fujifilm VisualSonics. With these desires in mind, Drew and the Fujifilm VisualSonics team work to provide ultra high frequency ultrasound and photoacoustic imaging technology for their customers. Photoacoustic imaging platforms send light energy into tissues in the body, which causes a thermoelastic expansion generating ultrasound waves. The waves are sensed with a transducer, and produce images of optical absorption contrast within the studied tissues. Fujifilm VisualSonics extends their engineering skills by collaborating with companies, such as Imanis, who can provide expertise in chemistry, biology, and genetics to push the capacities of in vivo imaging even further. 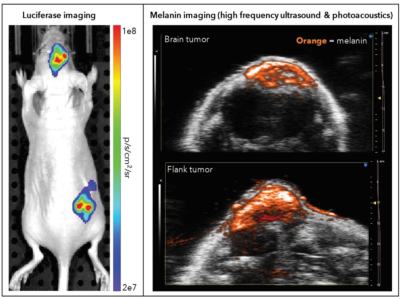 One example is the collaborative study of B16F10 tumors in mouse brains, where Imanis B16F10 reporter gene cells expressing luciferase and melanin were imaged by bioluminescence imaging (Imanis) and photoacoustic imaging (Fujifilm Visualsonics). We discuss the technology used in this study further in the following interview. Over a Skype interview, Drew explained the benefits of photoacoustic imaging, the nature of a multimodal approach, his company’s decision to enter the clinical world, and his connection with the Imanis team. Continue below to watch a video excerpt from our conversation, or read the transcript. What is photoacoustic imaging? Can you explain the technology behind it? Photoacoustic imaging is really a hybrid imaging modality. It’s the hybrid of optical on one hand and ultrasound on the other hand. Essentially we’re using pulse laser light to illuminate a tissue. Anything that absorbs that light heats up a little bit, and gives this mechanical thermoelastic expansion. This results in a pressure wave travelling through the tissue, and we detect that pressure wave via our ultrasound transducer. That’s the long version! The short version is you’re sending light in and getting sound out. It truly is a hybrid. It’s not just a different way of detecting the same ultrasound signals. It’s a way of detecting optical signals via ultrasound. That’s the real key to the innovation there. At the wavelength of light we are using, which is the near infrared range, we’re able to see relatively deep into tissues, and we’re able to detect chromophores or light absorbers in that range, such as hemoglobin, melanin, as well as other contrast agents which can be administered separately. What are the benefits of photoacoustic imaging technology in comparison to other modalities? The advantages there are really being able to take those optic signals and see them at depth, because we’re generating those signals at depth. In the case of something like fluorescence, they’ll send light in and detect the light coming out, and the problem with doing that is that light scatters hugely in tissue. So, you can’t really resolve anything deeper than a millimeter using light. But using ultrasound, just listening to the waves coming out, we can actually detect and resolve those signals at depth. We make a high frequency ultrasound equipment. The higher the frequency, the better the resolution. In the clinic, ultrasound machines are using typically 1-10 megahertz range frequencies. We’re in the 15-50 megahertz range. That means we have much higher resolution. Now we can get down to about 40 micron resolution with photoacoustic imaging. Also, the key with ultrasound is it is a noninvasive modality. It doesn’t require radiation, it is longitudinal so you can image the same animal over and over again. 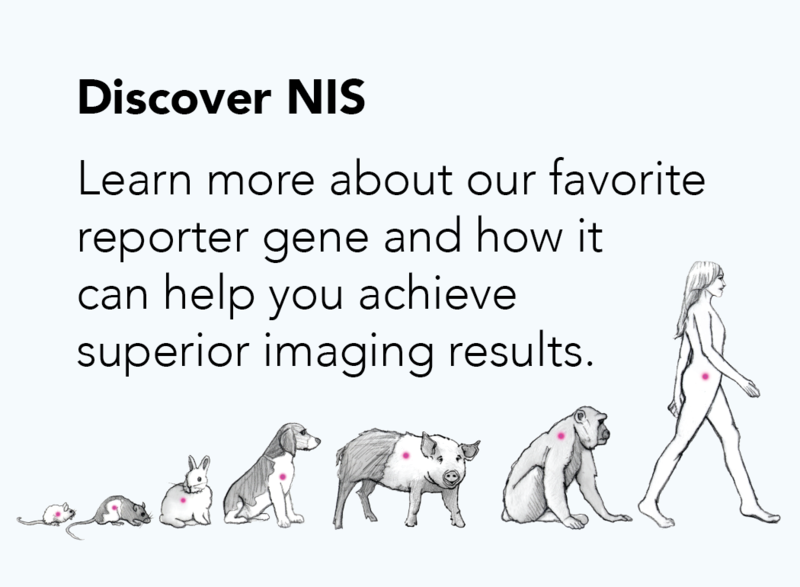 This sort of longitudinal imaging is really important for these studies where you can actually use an animal as its own control. So for example, you’ll have a normal animal, you can scan the animal, do a pre-scan, and then induce a diseased state, whether that be a tumor induction or using some chemical to induce a disease. You can scan again to watch the progression of the disease, and then you can apply a treatment and scan again in the treatment. So you can essentially watch the same animal progress throughout the entire experiment because of the noninvasive nonionizing nature of ultrasound and photoacoustics. Would you say a multimodal approach can’t really be rivaled by any single modality just because of the level of sensitivity you can achieve with multimodal technology? Each technology has its own strength. Ultrasound is included! It has its strengths and its weaknesses. I like to think of it as, you’re trying to complete this picture of a biological process. I’m a biologist by training, so I tend to think of things not from an engineering point of view but a biology point of view. So, the biologist is trying to understand the process going on, and ultrasound is going to give you type of data. Maybe your perfusion using microbubbles will give you another type of data. You’ll get the oxygen saturation from photoacoustic imaging and molecular imaging. A lot of these things overlap slightly, but they give you these complementary data as well. You get a more complete picture of the biology the more modalities you use. How is photoacoustic technology changing and progressing? …Keep in mind, [photoacoustics] is a preclinical imaging modality, so it’s still [mainly involving] researchers, which is very exciting! Researchers are always looking to push the envelope, and they’re always looking at the next innovation and what will advance the field and allow for discoveries of things we have never seen before. That’s why I like to develop collaborations, such as we’ve done with Imanis, to help push the field forward. 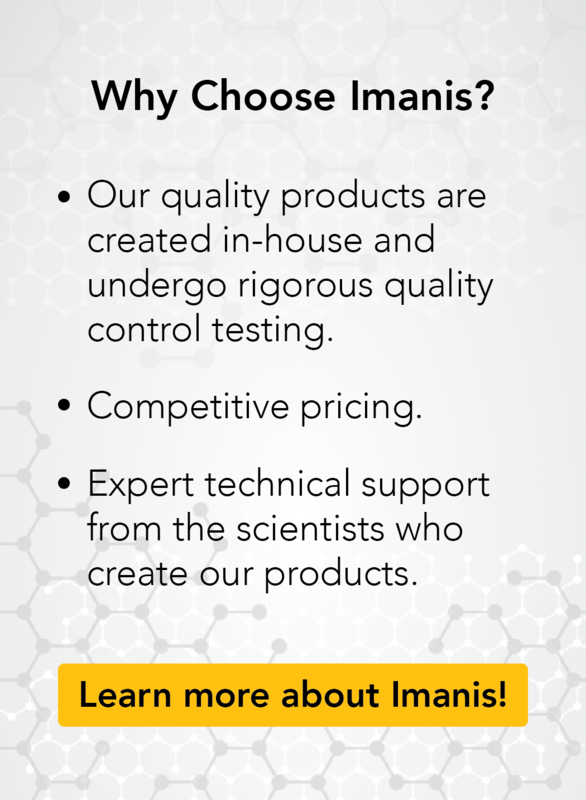 Can you describe your connection with the Imanis team? I met [Imanis COO] Kah-Whye Peng at WMIC 2015 in Honolulu, which was a very nice spot to meet! We were just sort of chatting at the Imanis booth. We had done a study with a collaborator, and they have published it using tyrosinase as a reporter gene. I started describing photoacoustics and what we do, and she said “we do that all the time! What’s the deal with using tyrosinase?” And that’s how the conversation started. We started to say maybe you can do these lentiviral vectors for putting the tyrosinase gene into animals for genetic reporting for photoacoustic imaging. You used Imanis’ tyrosinase and your VEVO LAZR-X in studying B16F10 tumors in the brain. What is the VEVO LAZR-X system? The Vevo Lazr X is the next generation of our photoacoustic imaging system. Back in 2011, we launched the Vevo LAZR. That was the first commercially available photoacoustic imaging system on the market. I was actually an application scientist at the time, and I helped with developing some of the applications and with developing some of the measurements on the system. Now that I’m in a product management role and have been for a few years now, I was able to head up the launch of the LAZR-X system. It was nice going from that applications role where I heard back from a lot of our customers, not just about what kinds of applications they wanted to use for photoacoustic imaging and how we could develop those applications, but just improvements on the system in general. For example, almost everybody asks “I want more depth and I want better sensitivity.” We tried to deliver that with the LAZR-X. So the new system has a new laser and it has more energy which means you’ll get a better signal to noise ratio. We also decided to separate the light delivery from the transducer itself. On the previous version of this system, the VEVO LAZR, you had your transducer, and you had an ultrasound cable coming out of it, and then you’ve got a fiberoptic coming in from the other side integrated into the housing of that transducer. Which is great, especially for people who aren’t very familiar with ultrasound imaging and this nice hand-held thing. But, we actually found that a lot of our customers wanted to experiment and innovate with this, and maybe deliver the light in a different way in order to improve things like depth and sensitivity. So we decided on the LAZR-X system. [With this system we decided to] keep our ultrasound transducers as they are, they’re called the MX-series transducers for our VEVO 3100 high frequency ultrasound system, and then we made a jacket that fits over top the transducer itself, and then you can plug in the fiber from the side. We actually make a few different fibers. So that means if you’re doing whole body imaging or a whole cross-section of the body of the animal trying to capture this 3D scan, you can use the wide fiber to deliver the light across the body of the animal. But, if you’re doing something like brain imaging in a mouse, a mouse brain is tiny! It is about the size of my baby fingernail, and we don’t want to throw a bunch of light away that’s not going to be hitting the brain of the animal. So we have a narrow fiber that focuses the night into a narrower area. We can use that, with the low frequency transducer for example, to increase our sensitivity and our depth by delivering more light into a smaller area. You’ve recently entered the clinical world as well with the ultrahigh frequency ultrasound VEVO MD you launched in 2016. Do you see a space for photoacoustic imaging in the clinical world or is that something you’re working towards? The Vevo MD is a really exciting product because it is clinically approved, and people are finding all sorts of uses for it. Clinicians have seen ultrasound before, they know what that looks like, but when they see this system and the high resolution images, they get really excited. They say things like “I’ve never seen that before! This is amazing. I’ve never seen the individual bundles in this nerve!” The applications in neonatology, dermatology . . . they’re very excited about that. So, we are very proud of the Vevo MD and going into that clinical space. But, we do get asked often, “What about photoacoustics? What is its role in the clinic?” I think it is coming as well. Now we have a platform that is used clinically that we can build upon. I think it is still a little way off, but we always stress the importance of translational. This is being able to go from the mouse to man, so to speak, going from the research lab to the clinic. I think that’s where photoacoustics fits in nicely. People are using their animal models to develop certain applications, and they’ve looked to the future to see that’s going to be translated to the clinic if it shows some kind of clinical benefit. What is FujiFilm VisualSonics’ vision for the future? We started in the early 2000’s with high frequency ultrasound, and it’s really developed from there. Going from cardiology applications and cancer, now we’re going into neuro and developmental biology . . . so we really look to push the applications forward, especially with something like photoacoustics, but also continue to develop the technology. We’re always pushing to improve the resolution, and the temporal resolution as well. We want to work with our customers and find out what their needs are, and try to build the tools that they’re going to find useful. For example, coming up at WMIC this year in Philadelphia, we’ve developed this new prototype for doing whole-body imaging for things like biodistribution of drugs or different contrast agents for photoacoustics. So we are always experimenting with new things, trying out new things, and we’re always looking to the future. Thank you to Drew for his insight on the trajectory of photoacoustic technology, and thank you for reading or watching! For more information on Fujifilm VisualSonics, click here. This is episode 2 of our “Vision for the Future” series where we examine how industry leaders are progressing noninvasive in vivo imaging. Explore our first episode with Dr. Freek Beekman, founder of MI labs, here!